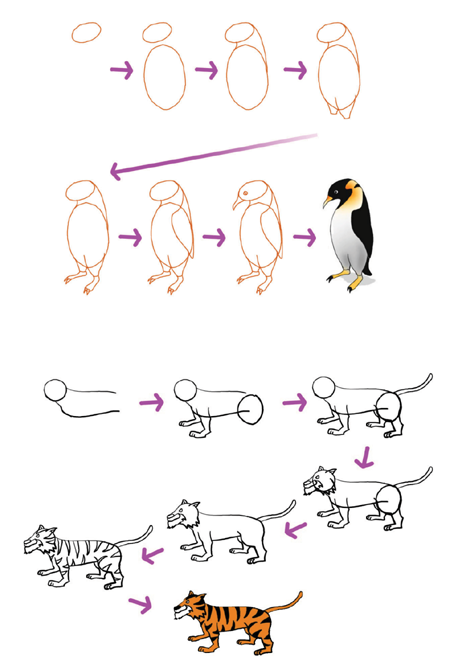 Have you ever wanted to know how to draw animals, using simple steps? The lessons from Teens Computer School will lead you through the steps of sketching, drawing, and coloring your artwork. Shape: A line that goes around and reconnects with itself. Previous Door and Key in Game Maker. A Shine Effect and Fire Effect in Photoshop.